Your new Samsung Smart TV will unlock a world of instant entertainment. After you have everything out of the box and set up, place the batteries into the remote control and plug-in your TV. When you turn on your TV for the first time, it searches for the wireless connection and downloads some updates. This might take a few minutes. When it's complete, it will take you to the Samsung Smart Hub. The Smart Hub is the hub of your entertainment center. You could play music from various devices, operate your Blu-ray player, browse the web, and download videos from your camera. The HD display provides an awesome gaming experience when connected to any gaming system. The Apps Panel gives you access to apps for things like news, sports, weather and gaming content. Thanks for taking the time to watch this video. If you need more help, we are here for you 24/7. 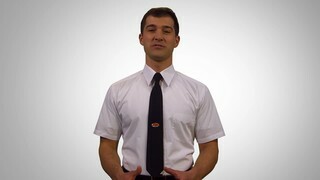 Visit GeekSquad.com. Call us at 1 800 Geek Squad or visit us at Best Buy store.